The Oregon Ducks signed the best group of linebackers in school history December 19th, as the National Letter-of-Intent early signing period came to a close. 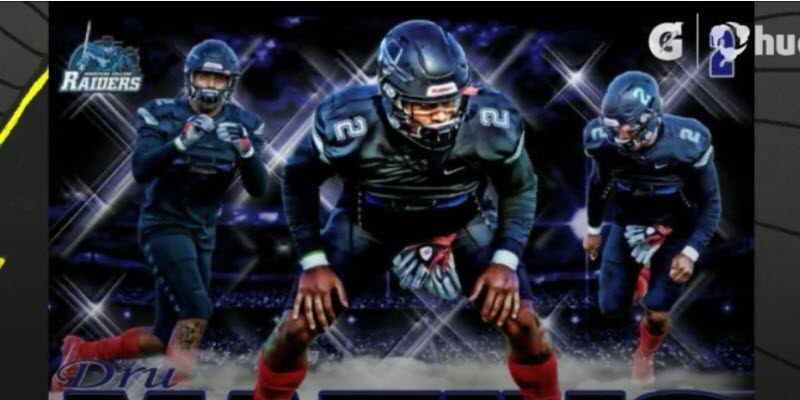 Certainly the headliners are Under Armour All-American Ge’mon Eaford from Florida and Polynesian Bowl selection Mase Funa from Southern California. However, the Ducks inked a Junior College linebacker that is further along in his development than the other two. Reece Dru Mathis is ready to play now. Mathis played for Buena High School in Ventura, California where he was the Co-Channel League Player of the Year. He signed with San Diego State in 2016 and redshirted while being named the Aztecs Scout Team Defensive Player of the Year. 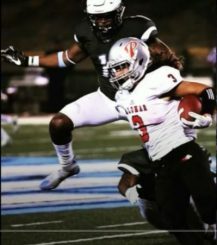 Mathis left after one year and played for Moorpark (Junior) College in 2017 where he was a unanimous First-Team All-Northern Conference selection at middle linebacker. He had a solid season for the Bulldogs in 2018, recording double-digit tackles in half of their games, earning a Top-50 ranking of Junior College prospects (No. 3 Inside Linebacker) according to the composite algorithm compiled by 247.com. 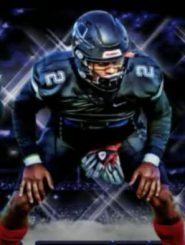 In the jump to Division 1-level football, Mathis received offers from Baylor, Nebraska, Illinois, Texas Christian, UNLV, Houston, and UCLA before selecting Oregon. Mathis has been listed at 6-foot-3 and 205 pounds as a redshirt freshman in 2016, to his present weight of 235-240 pounds, depending on the media source. The recruiting site ESPN.com listed him at 235 pounds, while Hailvarsity.com states that he is 240 pounds. Mathis is ready to join Oregon’s lineup. I have not seen anything to suggest that he has ever attended or participated in a sanctioned event where he was officially measured and tested. A sanctioned event such as The Opening-Regional presented by Nike or the 3-Stripe Camps (Adidas) officially measures athletes and electronically tests them without bias, influence or embellishment. Talent evaluators typically rely on data from these events, as opposed to self-reported results, for obvious reasons. 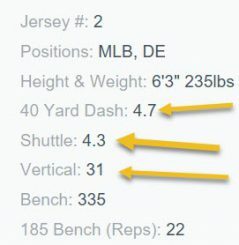 The only performance-based information that I have seen on Mathis was posted on his Hudl.com profile. He lists a 4.7-seconds 40-yard dash, a 4.3-seconds 20-yard Short Shuttle and a 31″ Vertical jump. Based upon his size, these numbers are not out of the typical range for similar athletes. 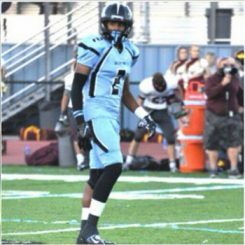 Marquel Lee – Raiders – 4.78 40-clock/4.33 20yd S.S./31″ Vert. Jump. Zach Cunningham – Texans – 4.67 40-clock/4.29 20yd S.S./35″ V.J. Jamie Collins – Patriots – 4.59 40-clock/4.32 20yd S.S./41.5″ V.J. Kamalei Correa – Ravens – 4.69 40-clock/4.18 20yd S.S./31″ V.J. Demario Davis – Jets – 4.52 40-clock/4.28 20yd S.S./38.5″ V.J. Christian Kirksey – Browns – 4.58 40-clock/4.42 20yd S.S./32″ V.J. C.J. Mosley – Ravens – 4.64 40-clock/4.40 20yd S.S./35″ V.J. Luke Kuechly – Panthers – 4.58 40-clock/4.12 20yd S.S./38″ V.J. I believe Demario Davis, C.J. Mosley and Luke Kuechly are a little more gifted athletically than Mathis, but not outside the realm of his upper-end potential given his age and development. The other five (Marquel Lee, Zach Cunningham, Jamie Collins, Kamalei Correa, and Christian Kirksey) are all solid athletic comparisons for Mathis. I haven’t seen anything as to arm length or hand size, but the average of the athletes listed above is an arm length of 32-1/2″ and a hand size of 9-1/2″. It is a safe assumption that given the similar physical stature of Mathis in relationship to the linebackers listed above, that his arm length and hand size is comparable to their average. Mathis has the length and strength to play either inside or on the edge in a base 3-4 or 4-3 defense. He is a “three down” guy, as he has the skill set to play in any sub-package, so he does not have to come off the field on passing downs. He appears to be an exceptional athlete as the comparisons to current NFL players above suggest. He demonstrates the ability to bend, sink and change direction with fluidity. He is highly developed in his repertoire of pass rush moves. He dips & rips, flattens nicely around the arc, scrapes & sheds, and reverse spins without gearing down. In the video above, Mathis does a fine job of setting the edge and turning the ball carrier back inside, ultimately making the tackle. In the video above, Mathis drops back into the middle zone and disrupts the crossing patterns of the slot receivers. Notice how fast he re-directs. In this video, Mathis flashes his impressive athleticism by vaulting over the Line Of Scrimmage (LOS) and chasing down the quarterback for a sack. Notice how fast he can bend, sink and change direction. In the video above, Mathis shoots the gap to stop the ball carrier for no gain. He processes information quickly and attacks the gaps before offensive linemen can climb to the second level. Mathis, in the video above, attacks the gap and then sinks and changes direction without gearing down. He makes the Tackle For Loss (TFL) because he can bend without gathering so he can play fast. In the video above, Mathis uses his long arms and athleticism to defeat a block and make a tackle on the perimeter. He has the range you look for in a linebacker, whether it’s a quick pitch (as in the clip above), quarterback Bootlegs or Jet Sweeps/Reverses. Above, Mathis demonstrates elite-level sink. He changes direction and then flashes his closing speed to make the tackle. Mathis, in the video above, demonstrates textbook technique to gain leverage on a pass rush off the edge. This is a “Dip & Rip” and he shows how it’s done. Mathis comes off the edge with an elite first step, combining speed, power and technique In the video above. He is one of the most polished pass rushers that I have seen at the Junior College (or High School) level. The ability to get lower than the opponent and gain leverage is described as “flattening.” It’s an athletic trait to run full speed at a near-45-degree angle. Mathis, above, uses his long arm extension to pivot around his opponent to flatten around the arc to the quarterback. This is textbook technique. 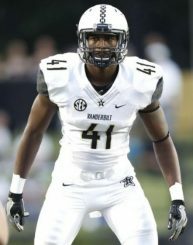 Mathis is reminiscent of Zach Cunningham, who starred at Vanderbilt University and was selected by the Houston Texans in the second round (No. 57 overall) of the 2017 NFL Draft. Cunningham (6-foot-3 and 234 pounds) and Mathis share very similar size and athleticism. Since Mathis redshirted at San Diego State in 2016, and played two years (2017-2018) at Moorpark College, he has two years to make an impact at the University of Oregon. He is one of the most complete pass rushers to ascend to the D1 ranks technique-wise, that I have seen. He has an elite first step and explodes off the line of scrimmage. He demonstrates throughout his film the ability to not only run by less gifted opponents, but unleash an array of techniques: a dip & rip, flattening around the arc and a re-direct. As an inside run-stuffer he is quick to diagnose and attack the line of scrimmage. He is physical between the tackles and can shoot gaps, as well as run down ball carriers behind the line. He scrapes, sheds blockers and disengages pretty well. Though he has the skill set to play either inside or on the perimeter, I believe his future is on the perimeter where his impressive array of techniques coupled with plus athleticism make him a formidable edge guy. Mathis should have an instant impact at Oregon and contribute immediately. He has All-Conference ability (as a red shirt Senior) and a high ceiling. He is a future second day pick in the NFL draft.